A very special year for me as it’s now 25 years since I founded The Friendly Dog Club. I would never have believed back in 1993 that the Club would have grown and flourished to become what it is today. It’s a good feeling! Week one of this term is under our belt. Always hard getting back into gear after a few weeks holiday but lovely to have everyone back in training and another 30 plus new puppies starting their training journey. We had an amazing Christmas Bingo Party for everyone at Hoburne in Bashley. New management but they were all very friendly and helpful and made our evening go well. Thank you to them. 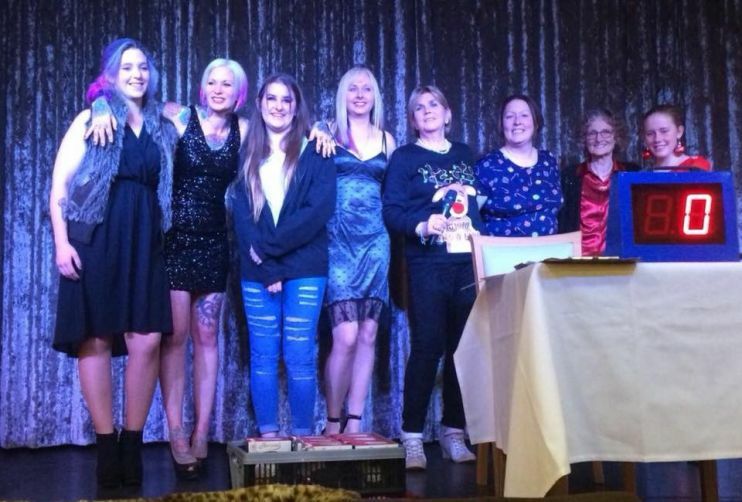 We had about 130 people lots of fun and laughter and an amazing £339 from our raffle and we been able to donated £174 to DogAid. They train pet Dogs to become assistant Dogs. Kate has just become a registered trainer with them. The rest has gone to cover vet bills for Ella a Romanian rescue who escaped from her foster home and spent 11 days on the run in the Forest. Since being rescued again Kate has been fostering her. She is small, sweet natured and now looking for her forever home.